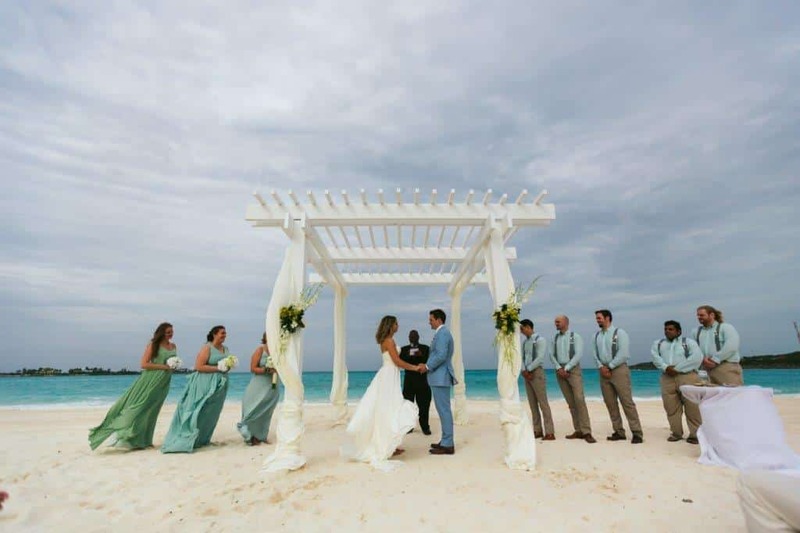 The Southern Travel Agency team recently had the pleasure of planning a very special travel experience — the destination wedding at Sandals Emerald Bay for Matt, our founder Mike and Lauren’s eldest son! Matt wed his beautiful bride Kyndall at the stunning resort, and it’s safe to say they had a blast. We talked with Kyndall and Matt about why they chose this Sandals resort, what their wedding day was like, and what honeymoon moments they’ll never forget. 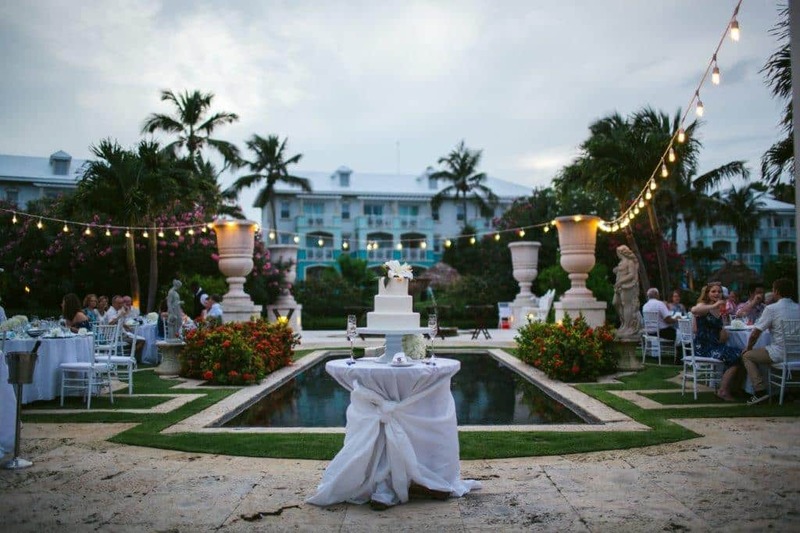 Read on for Matt and Kyndall’s love story, more destination wedding at Sandals Emerald Bay photos, and an insider look at this top-notch resort. Where Is Sandals Emerald Bay? Located on the Island of Great Exuma in The Bahamas, Sandals Emerald Bay is just a short flight from many East Coast cities. But it feels worlds away. In fact, Matt and Kyndall picked Sandals Emerald Bay over many other luxury resorts in large part thanks to its location. 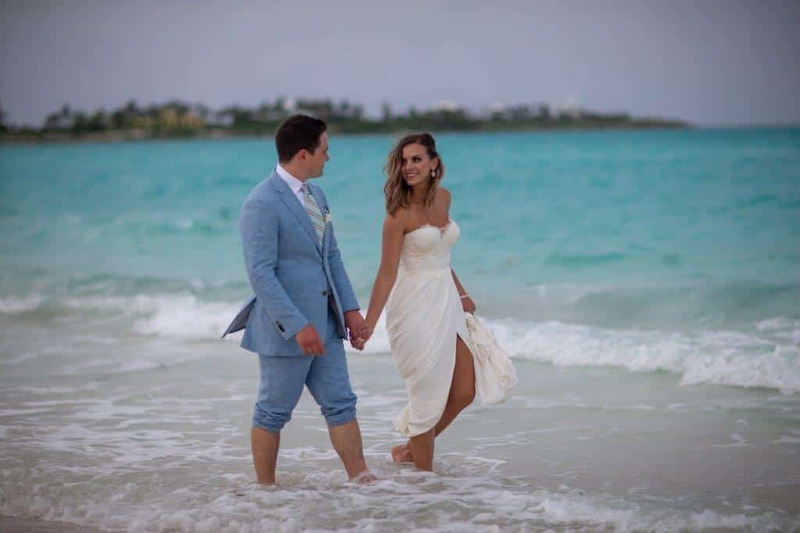 Matt and Kyndall got to take full advantage of the breathtaking turquoise waters with an oceanside ceremony during their destination wedding at Sandals Emerald Bay. 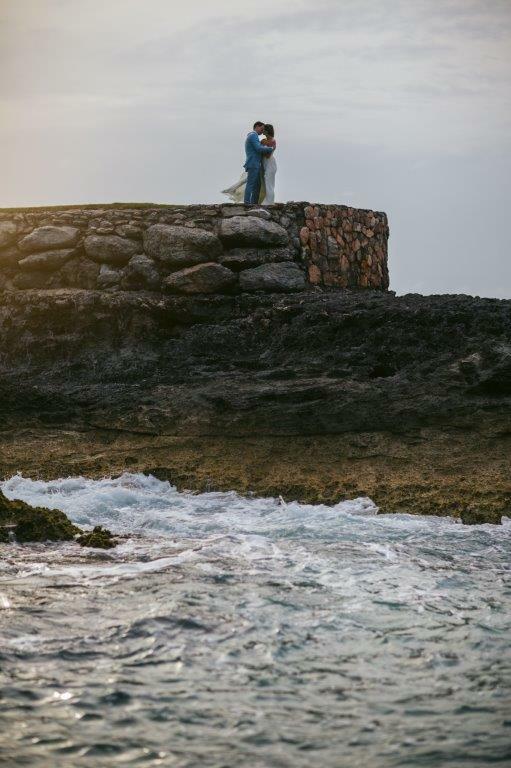 The couple tied the knot with the Bahamian waters as their background, with their 36 guests seated before them. The elegant wedding ceremony was just what Kyndall and Matt envisioned — but what they really loved was how easy it all came together. That’s thanks to the dedicated Sandals staff. After their destination wedding at Sandals Emerald Bay, Kyndall and Matt stayed a week longer at the luxury resort to relax and unwind — and indulge! The couple had fun trying many of the Sandals Emerald Bay restaurants. It was all top notch. But a couple of special restaurants really stood out. Both agreed that the French restaurant La Parisienne was among their favorites. The white-gloved service and impeccable décor made the couple feel like they really were eating at one of the best restaurants in Paris. The aromatic Indian fare at Bombay Club also got top marks. Matt loved the authentic flavors and uncrowded, intimate feel of the restaurant. Since it was an extra special stay, Matt and Kyndall sprung for one of the best rooms at Sandals Emerald Bay. Their butler-level suite boasted plenty of space and gorgeous views out over the sea — perfect for these two beach lovers. The couple loved the butler service that came with their room, too. It just made their wedding and honeymoon stay that much more stress-free, especially when it came to dining. Matt and Kyndall loved their stay at Sandals Emerald Bay because there was just so much to do. That included doing absolutely nothing at all, in the most gorgeous of settings. When they weren’t lounging seaside, Matt and Kyndall took advantage of the all inclusive Sandals Emerald Bay snorkeling, golf, and water sports like paddle boarding. Things heated up when the sun went down with rousing night life and a sophisticated piano bar. Really, though, it all came down to staying in a pure island paradise. One of Matt’s favorite moments came right after the wedding ceremony. The couple’s photographer led them to a seaside cliff right at sunset for a private photo session. At Southern Travel Agency, we love planning Sandals vacations — our clients consistently tell us that Sandals resorts deliver an exceptional luxury experience, going over the top to make a vacation a relaxing and memorable one. 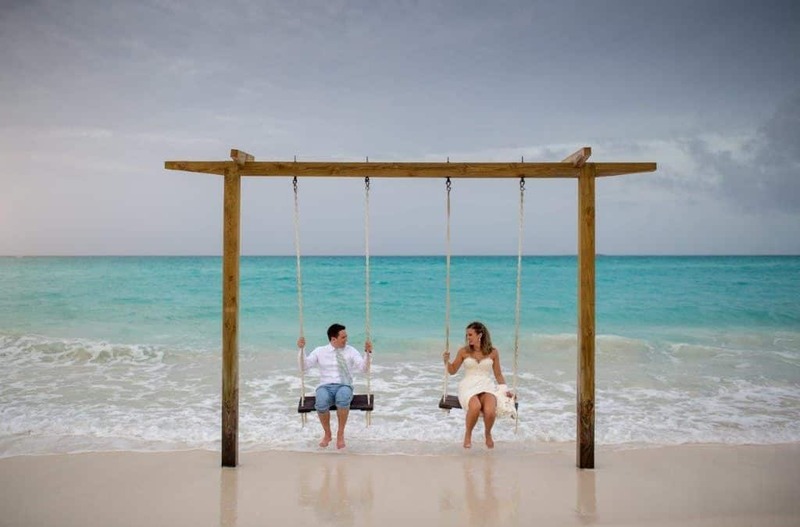 Our Sandals wedding experts would love to help you plan a romantic getaway to Sandals Emerald Bay! Just get in touch with our online travel agency or our local agents in Augusta, GA, to start planning today. Sign Me Up For A Complimentary Consultation Call!